Cumberland was first established as a stockade and trading post by Christopher Gist in 1749. In 1755 during the French and Indian Wars, it was made into a fort and named for the Duke of Cumberland. The city later grew into a transportation hub and became home to numerous railroads and the famed C&O Canal. In 1787, the general assembly established Cumberland. As the city moved into the 19th and 20th centuries, it became less dependent on railroads while brewing, glass and tire manufacturing became big industries. Cumberland Maryland, located in Allegany County and nestled in the cradle of the valley of the Potomac River in the lush landscape of the heart of the Appalachian Mountains in Western Maryland. 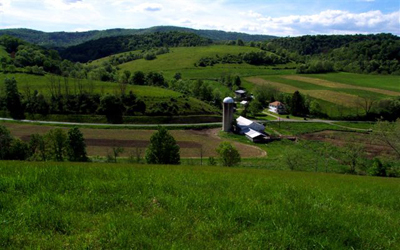 Allegany County has an average summer temperature of 72.6 degrees with an average winter temperature of 32.8 degrees. Cumberland features the Western Maryland Railway Station, which is part of the Canal Place Heritage Area. While there you can ride the Western Maryland Scenic Railroad, tour a full-scale replica canal boat, visit the C&O Canal National Historical Park Cumberland Visitor Center, enjoy a hike or bike ride on the canal towpath or attend unique festivals and events like the C&O Canal Fest. Our area provides a varied educational system with 25 public schools, 11 private schools and church related schools. Allegany County also features 2 institutions of higher learning. Western Maryland Health System provides health care for Allegany County residents. The county also offers a number of nursing homes and provides a wide range of health care practitioners. You'll also enjoy History House, George Washington's Headquarters, Toll House, the Thrasher Carriage Museum, Fort Cumberland and others. Cultural interests are served by the Allegany Festival of the Arts, Frostburg State University Performing Arts, the Civic Concert Society, Allegany College of Maryland, the Allegany County Historical Society and Cumberland Theater. Allegany County features many beautiful natural resources. Rocky Gap State Park is a big draw for fishermen and boaters. 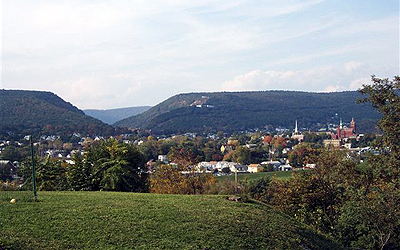 The high points in Allegany County include Warrior Mountain, Dan's Mountain, Evitts Mountain, Town Hill, Wills Mountain, Martin Mountain, Breakneck Hill, Polish Mountain, Nicholas Mountain, Ragged Mountain and Collier Mountain. Many recreational activities are also available at state parks and forests. You'll find plenty of hunting, fishing, camping, hiking, canoeing, biking and swimming. Winter snow skiing and cross-country skiing is within an hour's drive. There's also plenty of golfing to be found at the Cumberland Country Club, the Rocky Gap Lodge and Golf Resort, the Mountain Club and Maplehurst Country Club.